I love running. Not for the feeling of the wind in my hair, or the way your limbs ache in a pleasing way at the end of the line. I love running because when you’re running, there are no interruptions. No phone you have to answer, no “I’ll just quickly Google that”, or “Maybe I’ll catch up on Jessica Jones on Netflix”. Running gives me time to think. Unfortunately, most of my “thinking” tends to veer sharply towards the solemn contemplation of potential baked goods (thereby negating all the good work that running accomplishes). Which is incidentally how I came about to make a big batch of shortcrust pastry. Battling sweat and aching limbs, visions of Summer berries popped into my head (or maybe it was just bright lights and blurred vision caused by heat exhaustion). My current favourite easy recipe for pastry can be found here. 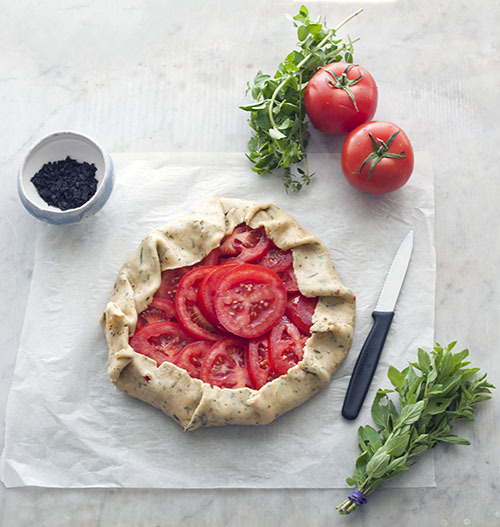 Belinda Jeffery’s recipe, which also appears in her book Mix & Bake, is incredibly versatile. I’ve used it in both sweet and savoury applications to great effect. Tips for pastry success : Heat is the enemy, when it comes to making or rolling out pastry. Keep everything as well chilled as possible. Also chill your lined tart shell before blind baking. This helps retain the shape of the shell. 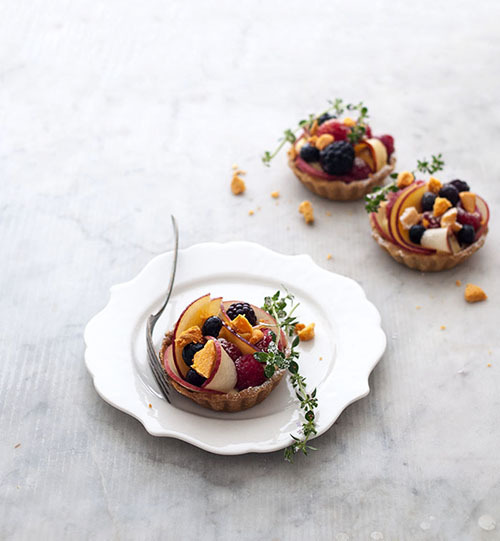 A blind baked shell can be used in all sorts of ways, such as the fruit topped tarts above. 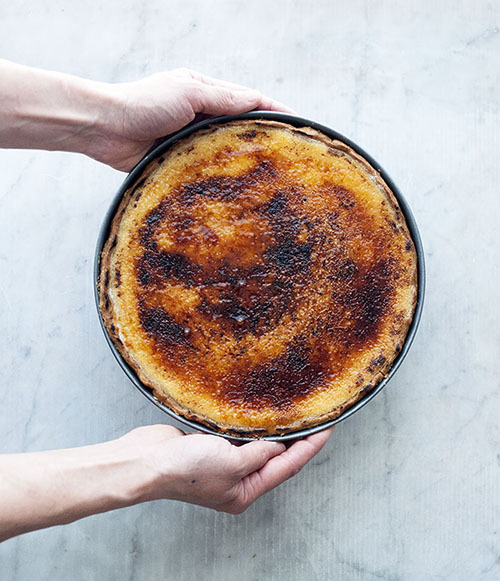 Alternatively, fill it with vanilla custard and brulee to give that golden burnished finish. The filling was based on this recipe. If you find yourself allergic to lining tarts and engaging in all that blind-baking nonsense, make free form crostatas instead. 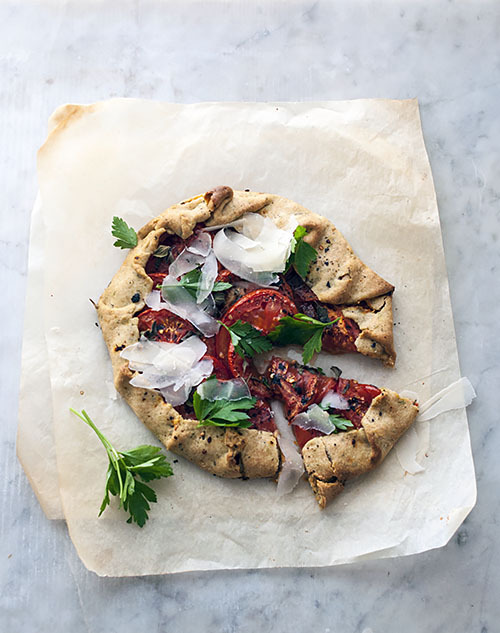 Roll the dough out into a rough circle, fill with something sweet or savoury (in this case, Summer-kissed tomatoes and herbs) and bake for about 30-35 mins at 175’C. You’d break into less of a sweat making this than you would running.